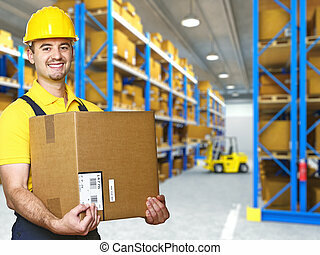 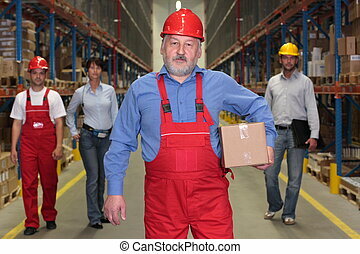 Experienced worker with box in warehouse. 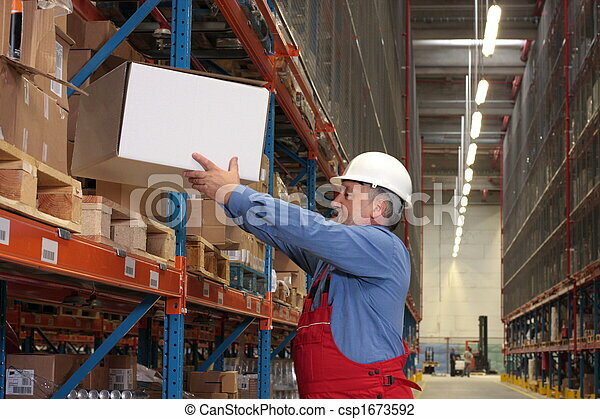 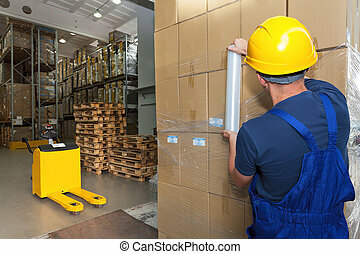 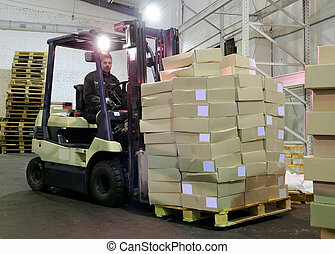 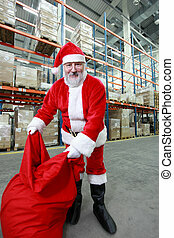 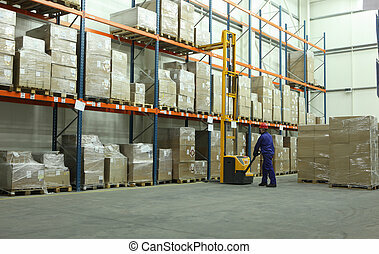 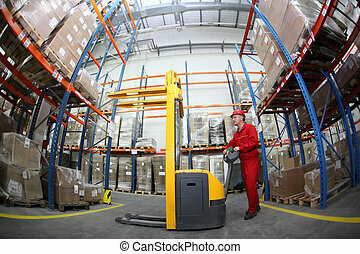 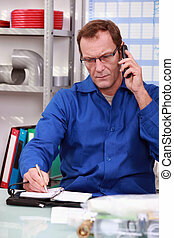 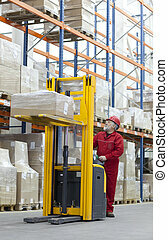 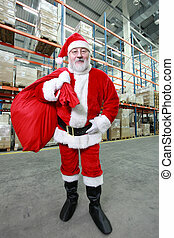 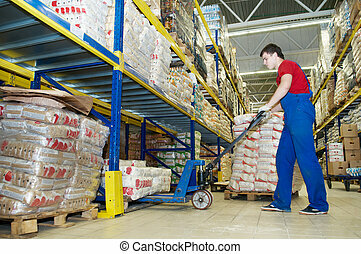 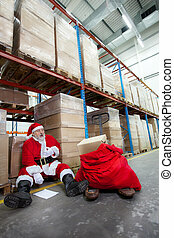 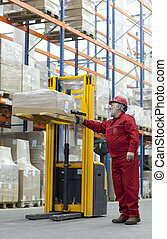 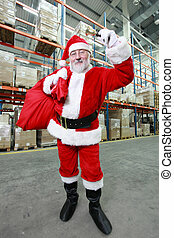 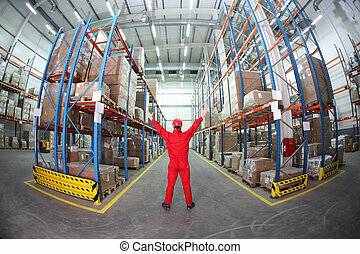 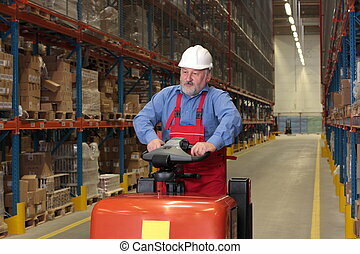 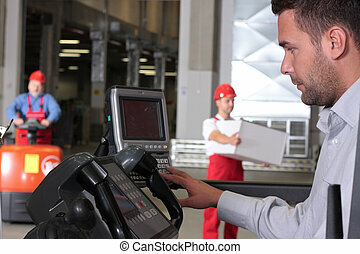 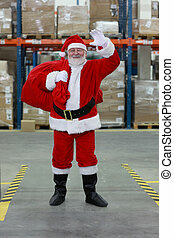 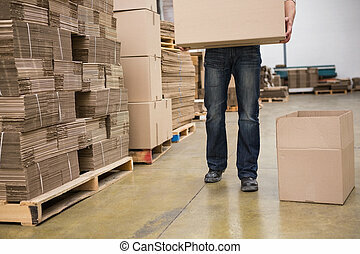 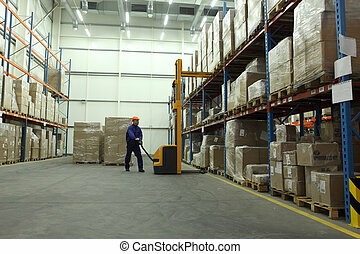 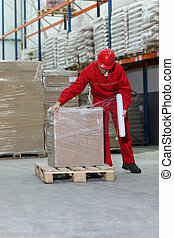 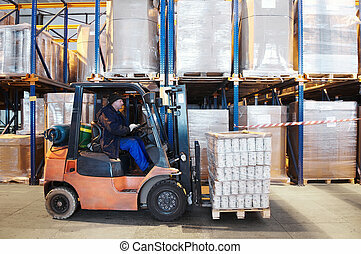 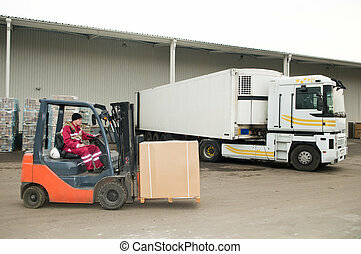 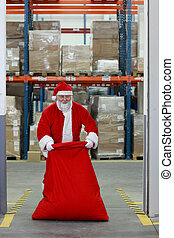 Older worker in uniform moving,taking out,putting,segregating,lifting on (from) shelves in warehouse. 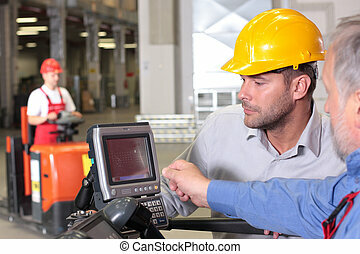 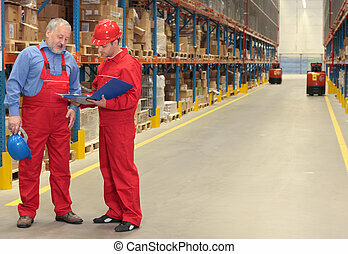 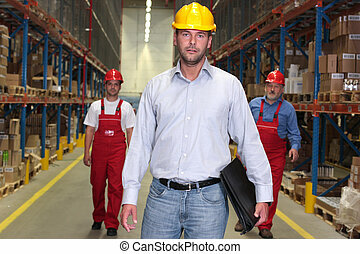 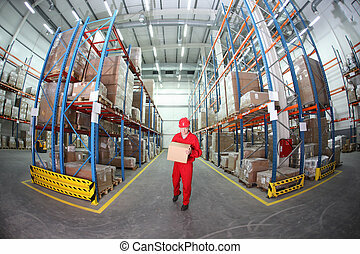 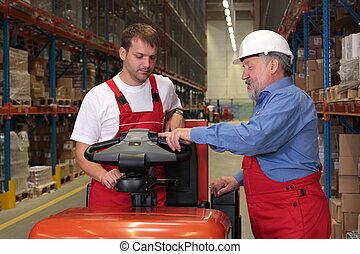 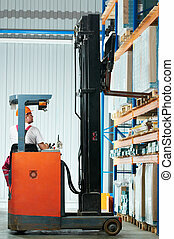 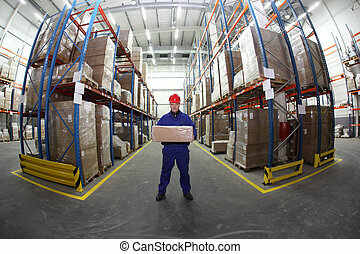 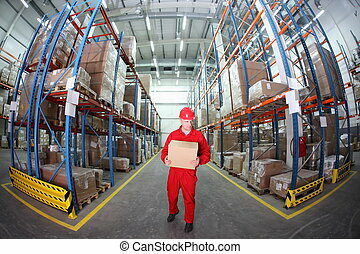 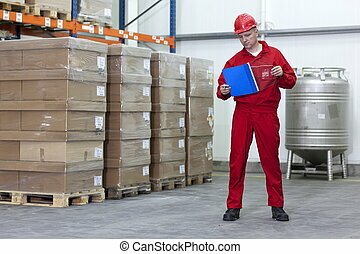 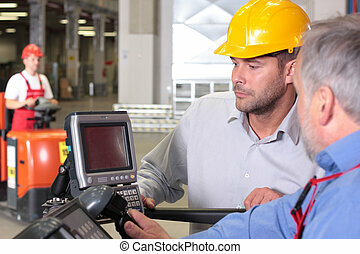 two workers in uniforms in warehouse.one is older, one is younger,different activities.